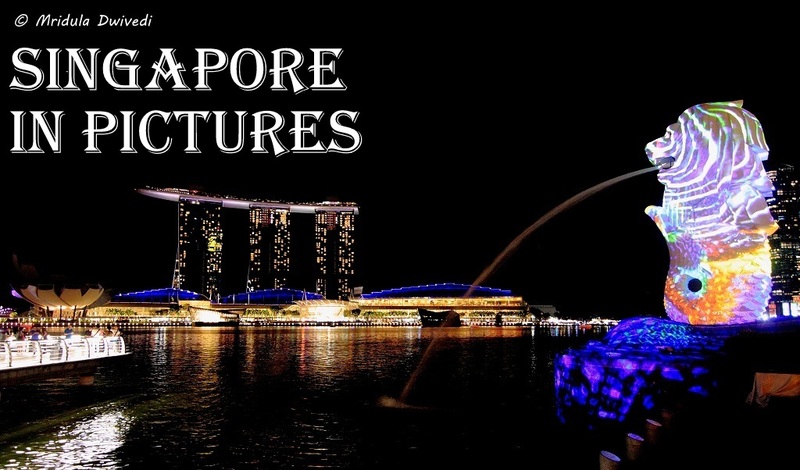 I have the exact same feeling about doing a post on Singapore as I had for London. Both the places are popular, everyone has seen the famous landmarks a gazillion times already! Still as I have a lot of pictures from my trip, I end up presenting Singapore in pictures on my blog. Singapore will always hold a special place in my heart. It was the first foreign country I visited. I was presenting a paper for my first academic conference at Nanyang Technological Institute way back in 1999. 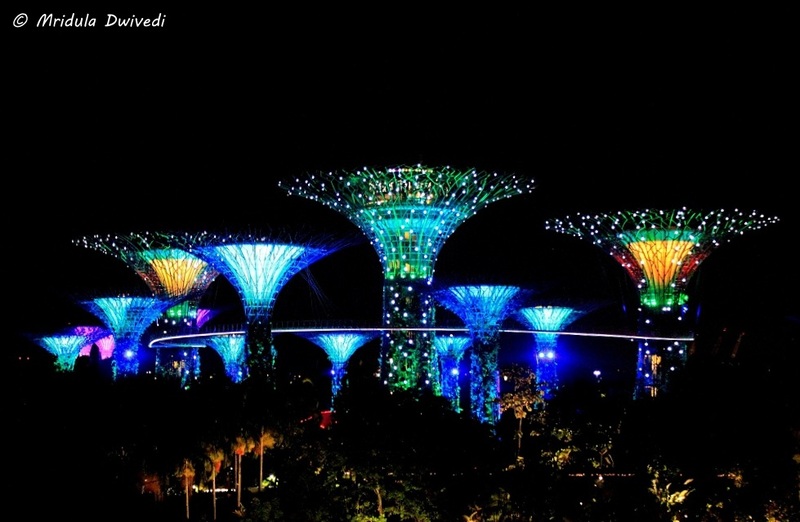 I transited via Changi a few times but never managed to visit Singapore till this year! I am grateful to Accor Hotels and Scoot for taking me back to Singapore after all these years. I was participating in their #escapers17 event. So much has changed in my life the meanwhile! The country I visited for presenting an academic paper, I was revisiting it after quitting my job! I had a great time in Singapore. I love the places where I can get around the town with ease and Singapore certainly has it. It is super easy to use the public transport with the Singapore Tourist Card. I used the underground (MRT) most of the time to get around in Singapore. 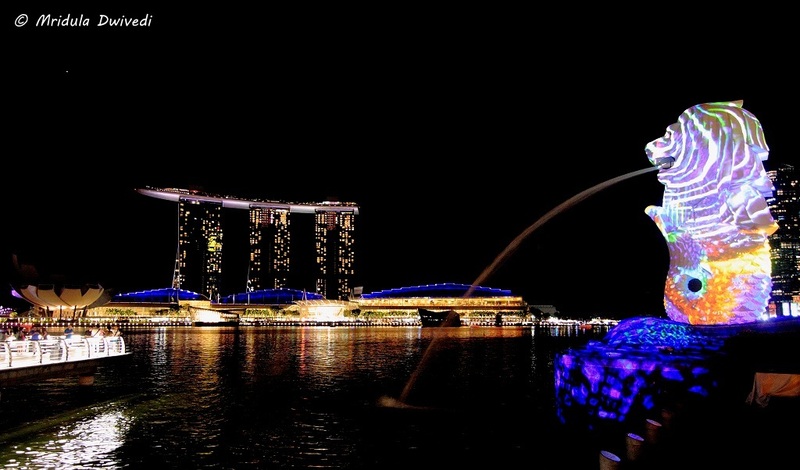 The Iconic Singapore Merlion and Marina Bay Sands! When I visited Singapore in 1999 the Marina Bay Sands did not exist. And yet I have seen so many pictures of it that I had no difficulty in recognizing it. 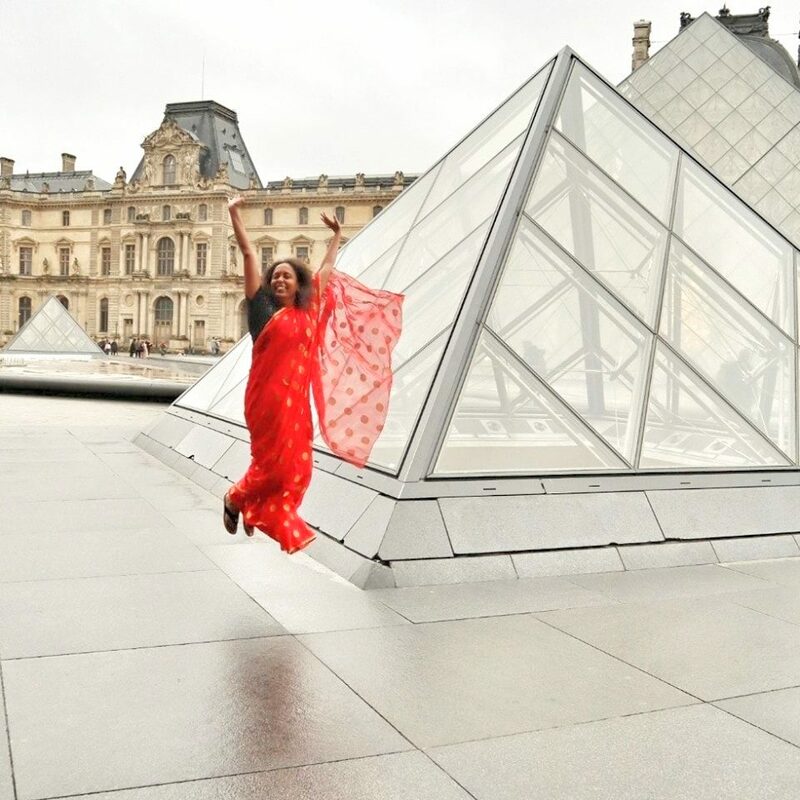 I know I am adding the gazillion plus one picture of it but as a travel blogger it is almost a compulsion! I loved the fact that everything around the Gardens by the Bay is not locked away under ticketing. The light show at night is free too. I also loved the fact that I got a double rainbow the day I visited Gardens by the Bay. 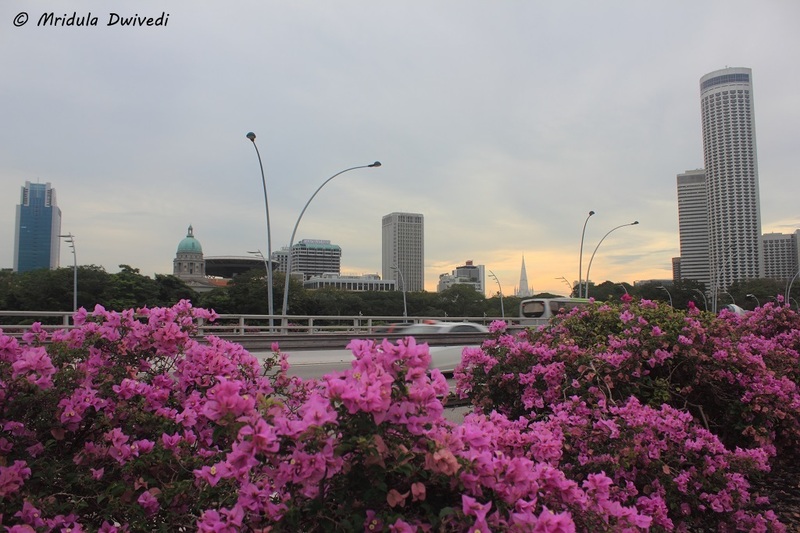 All the tourist attractions, including Little India, are within the walking distance from MRT. 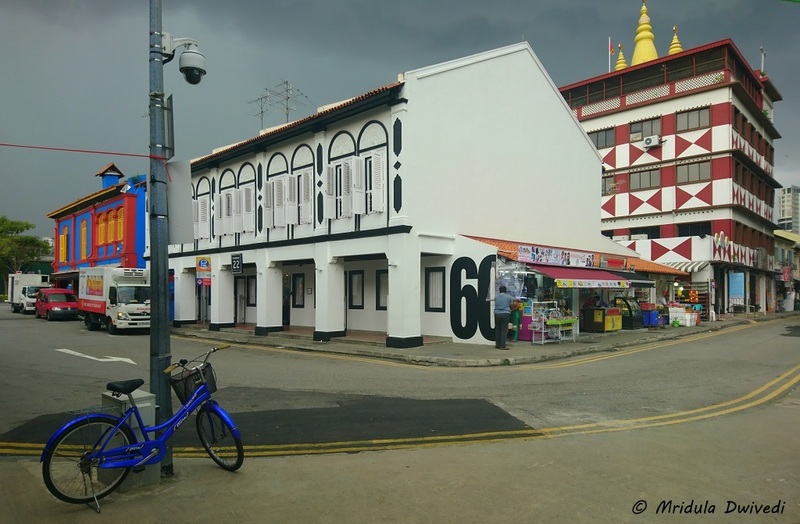 It was threatening to rain the day I was walking around Little India. I had to cut my visit short as the skies opened up soon! With Sy Yuan of Sylistic! The Singapore trip was extra special because two friends Sy and Gaurav took out time to take me around Singapore. Sy and I first met on a blogging trip to Thailand and Cambodia. 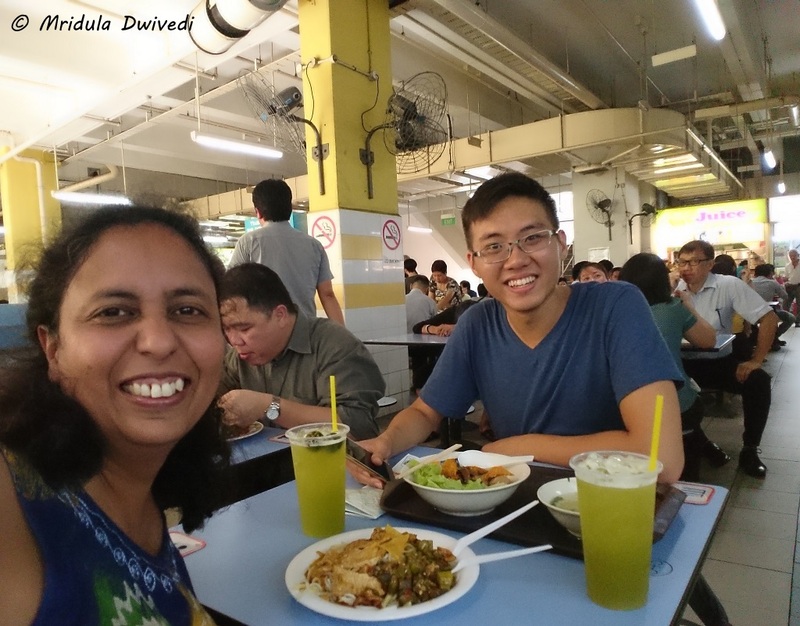 We roamed around the Chinatown and Haji Lane. 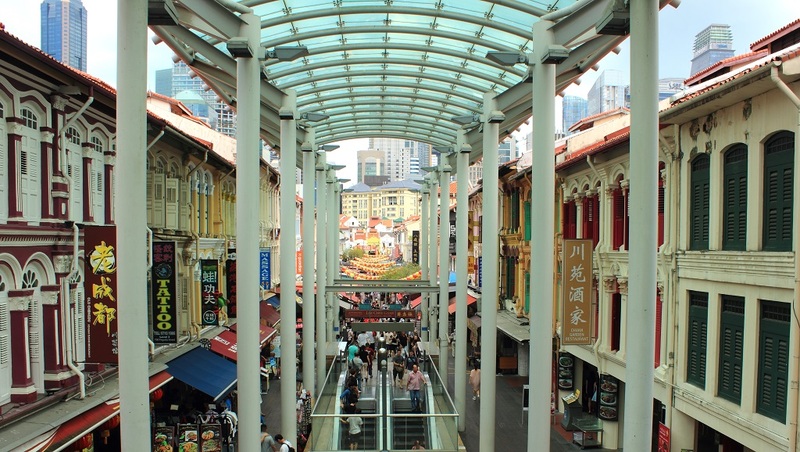 Chinatown is a popular tourist attraction in Singapore, almost everyone goes there. 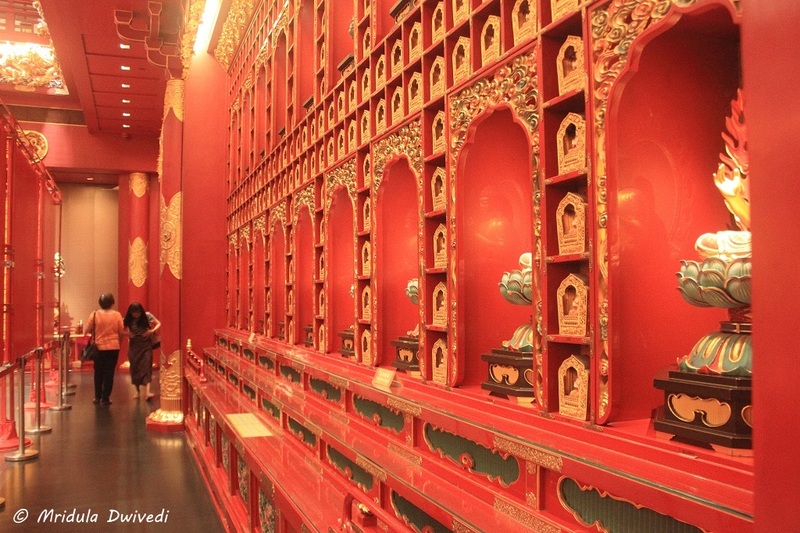 But there is a local food place, close to the Buddha Tooth Relic Temple, it is called Chinatown Complex Market & Food Centre. It is a huge square with small hawker shops. There are a few shops that serve out vegetarian fare as well. There is one stall- Singapore’s Liao Fan Hong Kong Soya Sauce Chicken Rice & Noodle which got 1 Michelin Star in 2016. That is probably the cheapest Michelin Star meal that you can get! And Sy knew it all! 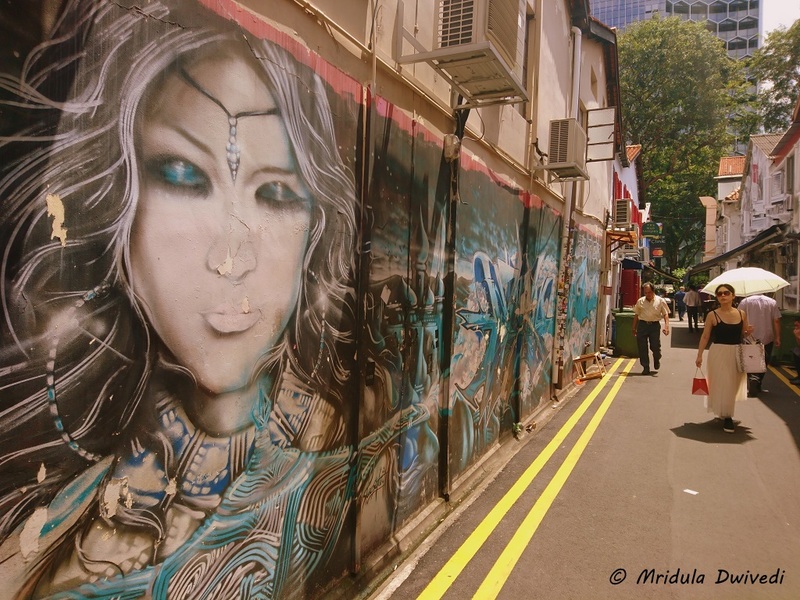 From Chinatown we went to Haji Lane, where you find cool graffiti and cute cafes. It is also close to the Sultan Mosque which we visited. 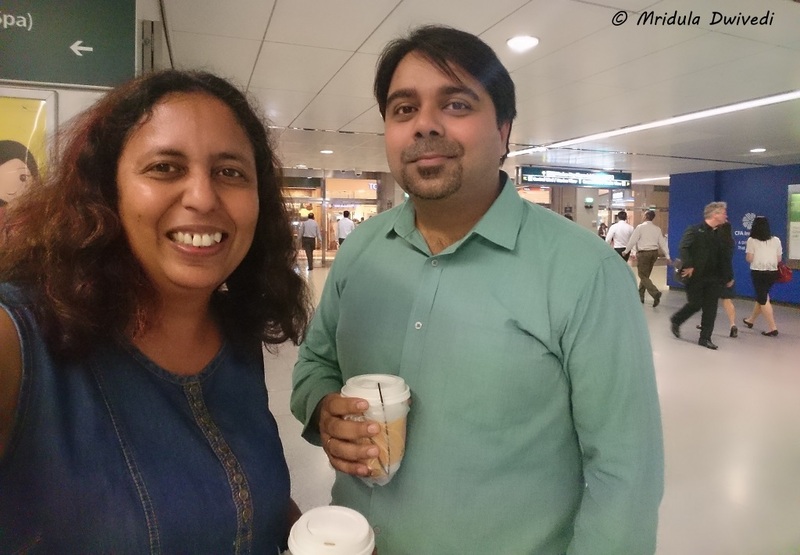 Gaurav and I have interacted online for 10 years but we were meeting face to face for the first time, who says online world is not real? We had so much to talk, so many common reference points because of the online world. It was fun to have lunch followed by coffee. I could ask so many questions about Singapore to both Gaurav and Sy! 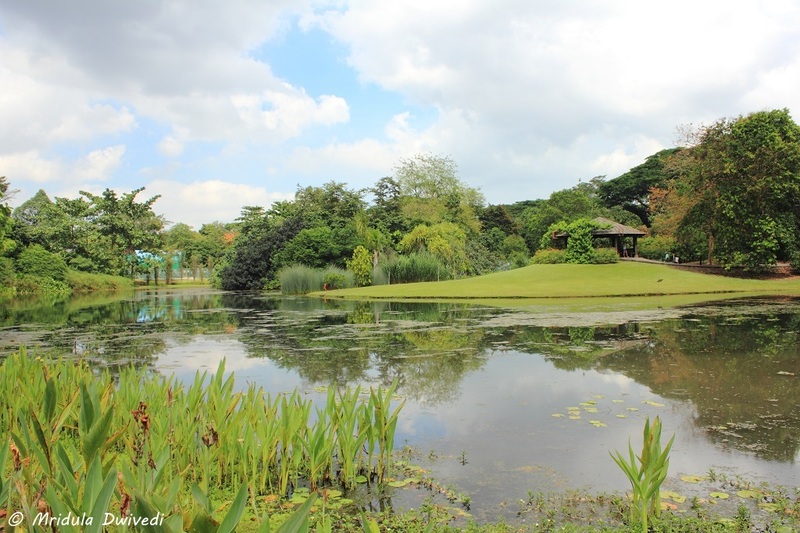 The Botanic Garden, Singapore is on the UNESCO World Heritage List. It was a pity that I could not explore it much, as it threatened to rain! I will say, it is for the next time. And I sincerely hope that the next time won’t be after 18 years!